How do I know you can do it? Because today, the technology for self-publishing books is readily available and so simple to use that anyone can publish and market a book. Everything you need is literally at your fingertips! Don't wade through a 400 page book to learn this process. 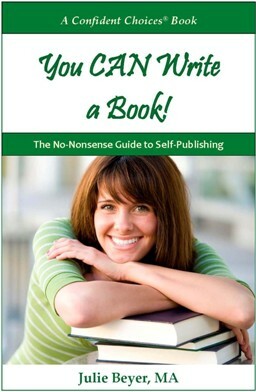 In You CAN Write A Book: The No-Nonsense Guide to Self-Publishing, I cut out all the nonsense of other books and just tell you what to do. Copyright 2016 NutraConsults, LLC. Simple theme. Powered by Blogger.